Good morning Insecure Writers 🙂 Its that time of the month again and if you havent got a clue what I’m on about do check out the Insecure Writers web site. This month i have been feeling very insecure about my writing. I ummed and arred about whether to take a Creative Writing course, and purchased yet more books on the subject. Today is Insecure Writers Support Group Day, or affectionately known as IWSG for short. I haven’t taken part since December last year (WOW! Has it really been that long?). 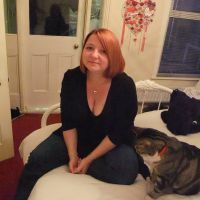 If you don’t know what it is check out the link, but basically its one day every month where writers get to whinge and moan, give in to self pity, and share their insecurities with the world. As a member its then your job to visit other participants and offer hugs, support and encouragement. Today is Insecure Writers Support Group day. A huge thank you to the wonderful Alex Cavanaughfor creating and hosting this monthly event. 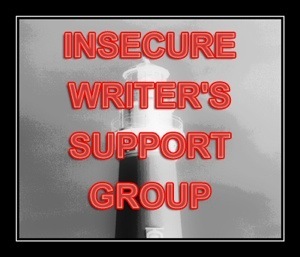 If you want to join, click the “Insecure Writers” tab above. The first chapter of all 3 versions of “Still” are with agent, Meg Davis who i’ll be having a one-on-one session with at Swanwick next week (more on Swanwick in Fridays post). I applied for the session back in February and last month I sent her my 6 thousand words. My question? Should I actually bother continuing with any of them, and if so, which one? Lol. My 2nd novel “Tangled” was sent to the RNA as part of the New Writers Scheme which offers feedback on manuscripts as part of the membership package. I sent 50,000 in first draft form (oh dear….it’s a mess I’m sure) off to them last month, but I don’t expect to hear anything for a good few weeks. So the A-Z Challenge for 2013 ended yesterday and I am absolutely exhausted! Lol…in a nice way of course 😉 I’ll be doing a reflection post in a couple of days….. I’ve tried to keep on top of all the comments, so if I’ve missed one I’ll apologise now. The one thing that will be coming back is my Mondays To Do List….and that brings me on very nicely to this IWSG post. Since starting the A-Z challenge I have written virtually nothing…zilch! Yes, I know, these posts are writing but I mean fiction. Is it because I’ve not had a list to work to every week? Or is there more to it? I submitted my Faber Synopsis and 1500 words for the Agent/Publishers event, but still have to decide what piece I’m going to read for the 2minute pitch. So no new words have been added to Still and I’ve got the deadline for the RNA New Writers Scheme looming. I feel like my heads spinning and at one stage I was seriously thinking about jacking it all in! Luckily, the words of a fellow NWS Member (thanks Jo) gave me the kick I needed, to stop wallowing in self pity and sort myself out. And thats what i need to do…..SORT IT OUT! I think I’m just mentally worn out! Constant reworking/rewrites of the novel, trying to keep up with everything. Take care you lot, I’ll try to keep up with your blogs if I can. I have about half a dozen awards to sort out so if you’ve given me one recently I promise I’ll sort that out when I return (I have them all part way started in my Drafts folder). Have you ever got to the stage where writing has felt like a chore more than a pleasure? I’d be interested to hear your experiences and what you did to resolve it.